Fixing Grace : When It's The Thermostat. I wished I knew a more creative title for this post, but of the eight calls I had yesterday, this one was a PITA. The answering service called me and a talk to the tenant and the owner confirmed that something was clicking, the igniter was coming on. I thought it was the gas valve, because it was getting power and bouncing open and closed. Then the board started issuing a pressure switch error via the blinking light. What a mess. Then I remembered this was a Nordyne furnace and that the pressure switch was basically a call for heat on this design. After removing the Red and White wires from the board with the power off, place a jumper on the white and red terminals on same. Turn on the power to the furnace and if it starts up normally, the problem is in the thermostat. This is because when all the relays in the board are on, if the thermostat is weak, it will turn itself off and cause you to tear your scalp. Remember, before condemning the board, bypass the thermostat first if things are acting erratically. Don't forget to remove those wires first, or you'll cook the thermostat anyway. 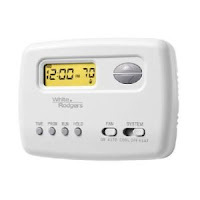 Also, I'm not picking on any particular product, but there are thermostat models that are cropping up every time I have one of these weird calls. There are more and these are usually consumer installed jobs, but the ones made mention of are usually professionally installed. I've installed White Rodgers parts, including their thermostats, for years including the ones mentioned above. However, as with any part, their service life is limited. With the WR 850 digital, I've installed several hundred of these in the 1990's and now a few are starting to fail. These start out as white, but yellow with age. This one should be replaced if it's over 10 years old. Another one that seems to break down is the WR 1F78. I've already replaced several of these because they won't allow the fan to come on during the cooling mode. This causes the coil to freeze up. Really, any thermostat of any brand using AAA batteries should not be used because the failure rate is higher than those using AA's. I'm at a loss to explain this, but experience proves this out. Again, this isn't to pick on White Rodgers because they make great products. Another one that's starting to show its age is the Honeywell CT3200 Magic Stat. I've found lots of issues with these ones, especially the doors breaking off and the electronics acting goofy. 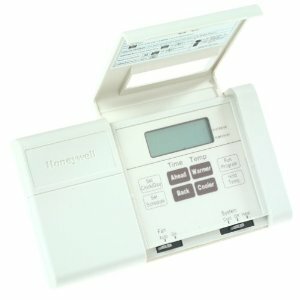 I had one of these brand-new in my last house and took it off and installed a Honeywell T87. I now use an Aprilaire 8366 after repairing the buttons with glue. Take my advice for what it is, and if you want to buy a thermostat from a store, you get what you pay for. If your thermostat is over ten years old, bite the bullet and replace it. None will last forever. Maranatha!